N’hésitez pas à adapter les outils à la réalité de votre entreprise et aux personnalités de votre équipe d’innovation. Vous allez augmenter l’impact des méthodes d’idéation si vous arrivez à les customiser judicieusement à vos propres besoins. La condition fondamentale pour pouvoir adapter est la connaissance : Il faut bien connaître le fonctionnement officiel et les “modes opératoires informels” de l’entreprise et des ses collaborateurs. Mais il faut aussi connaître le processus de l’innovation en général, les facteurs de succès, les nouvelles approches pour ne pas réinventer la roue à chaque recherche d’idées. Perhaps the biggest draw back is a close relative of chance – the lack of random effect, which is what gave us Apple’s Apps store (which market leader Nokia struggles to compete against). At some level we need to trust to randomness and indeed younger generations of entrepreneurs do so. We make a false distinction between structured clusters and unstructured ad hoc innovation. We fear the ad hoc unnecessarily. The ad hoc is as open to policy initiatives as is the structured. Meanwhile companies need to start thinking how they can get into the action around ad hoc innovation – the path is logical and as structured as any other innovation process. Online social networks are booming, but companies are still trying to figure out how their employees can take advantage of constant connectivity to collaborate without becoming overwhelmed or distracted. One answer is to ask small groups of employees to collaborate online for limited periods of time, says Tom Davenport, a professor of information technology and management at Babson College. He spoke to Technology Review‘s chief correspondent, David Talbot, about the latest trends in collaboration tools. TR: Collaboration software has been around for a long time, but it hasn’t always been very effective. Why? Davenport: There is a long history of collaboration aids, going back to relatively structured tools—Lotus Notes being the first prominent example. Microsoft Sharepoint is the most prominent example today. Companies are implementing them all over the place. Of course, nobody gets really excited about them, because they are seen as very corporate. Whether or not they are exciting, are these tools creating efficiencies and saving companies money? The fact is that most organizations aren’t really serious enough yet about collaboration to measure it much. They tend to be a lot more interested in traffic to their website than traffic on their collaboration tools site. They typically don’t have any particular focus on who should be collaborating with whom. That means you have to measure everything, such as overall hits on a collaboration site, or number of users of Sharepoint. What is the most effective way to use collaboration software? People who work on mapping collaboration and patterns of interaction between people have noticed that less is more. Historically, companies were quite interested in increasing the amount of collaboration. Now they are interested in targeting and limiting collaboration because people are getting overwhelmed. We will probably see a return to the more curated, facilitated collaboration environments. Deloitte has found that giving people a bunch of tools and saying “Go innovate and share ideas” doesn’t work very well. Limiting the duration of a program is critical, and so is limiting the set of people that it makes sense to collaborate with. Online social networks such as Facebook are now ubiquitous. Why aren’t they often doubling as tools for companies to use? What do you see as the next wave of innovation in collaboration? The whole idea of collaboration and social media—but in the context of a work process—is one that is going to take off. In other words, you might build a social-networking tool around a specific work process [with tools that] keep track of where you are and your tasks. 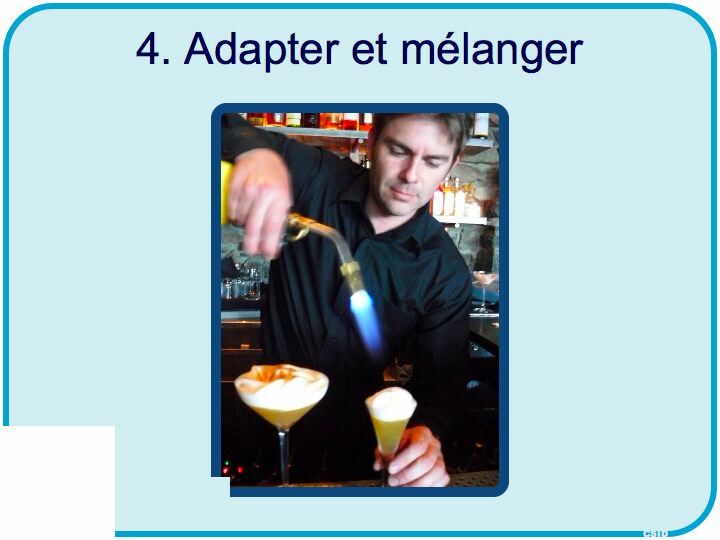 Même McKinsey prône aujourd’hui l’adaptation et le mix. McKinsey released a thought provoking article last month that presented a framework to describe the various kinds of workers and work that exist in typical organizations. The framework places workers in a four frame grid based on two criteria: interdependence and work complexity. Fundamentally, this McKinsey framework argues for a deeper organizational understanding of each employee worker type and suggests that we might be well served to tailor talent management practices to them. Given that these various worker types exist in every single organization, it also suggests that we need to support a mix of various talent management workflows and models within the same company to maximize productivity. Prochain billet: 26/27 Et s’amuser !